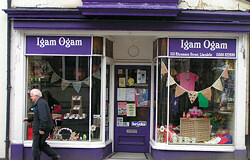 Situated in the heart of the town on the main street, you will find this exquisite shop specialising in Welsh personalised gifts, clothing, house wares, personalised bunting and cards. 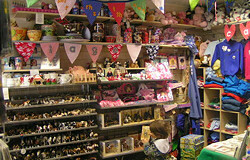 The shop stocks a fine variety of toys including educational toys, games and musical gifts, shop brands include: Spalsh, Bruder, Schleich, swing cards and many more. Stockist of local school uniforms to include Teilo Sant, Llandeilo CP, Ffairfach, Llanfynydd and Tregib.